When local animal rescue agencies find puppy mills it can fill up most of a shelter. But when the animals being rescued weigh thousands of pounds, it’s what you might call a horse of a different color. Bonnie Hammond started SAFE equine rescue about 10 years ago. At first, she and a friend were rescuing horses being sold at feed lots. But, that wasn’t really getting to the root of the problem. 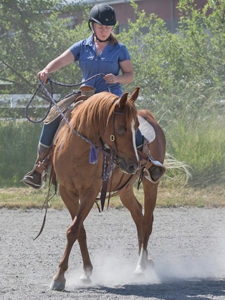 They wanted to stop the horses from getting into the slaughter pipeline in the first place, so they started working directly with animal control agencies in Pierce, King and Snohomish counties. “We want to be as supportive as we can and as available as we can so that when they see a situation where seizing a horse and prosecuting the owner for cruelty is warranted, that they’re as likely and encouraged to do so,” she said. Just a few months ago, SAFE found a new, bigger home on the outskirts of Redmond. The new space allows them to care for up to 28 animals. But for SAFE, getting abused and neglected horses back to health is just the first step. They want to prepare the animals to be good “horse citizens” as Bonnie describes it. 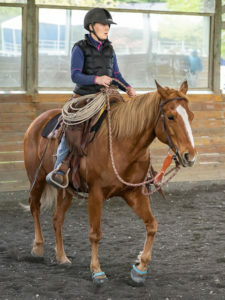 One of their recent success stories is Anderson, a chestnut Arabian stallion who had been abandoned in a field with a mare for so long the gates had rusted shut. Bonnie says it took a professional trainer several hours just to get a halter on Anderson. After being gelded, and getting just a few months of care and training, Anderson is now ready for adoption. Not all of SAFE’s stories turn out so well. Last week, they got a call about a woman who wanted to voluntarily surrender her horse because she couldn’t care for it any longer. They immediately took the mare to a vet and began daily treatment for the breathing condition, hoping they wouldn’t have to turn to euthanasia. On Monday, as they came to check on her, they discovered she was unable to fight any longer. “In some way, she saved us from having to make that choice by leaving on her own…” Hammond said. 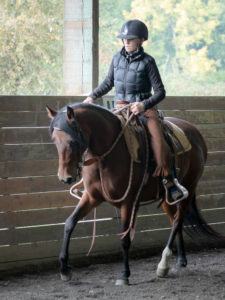 Just a few days after they lost that horse, two more were being brought in to take her place from a Quarter Horse breeding operation in Snohomish County. “They’re both actually beautiful horses, very well bred,” Hammond said. She says careless breeding practices are one of the biggest reasons SAFE exists. Because mares almost never get spayed they’re always fertile, and it takes just one ungelded male to do a whole lot of damage. SAFE is holding their very first open house at their new home in Redmond on Sunday with a “Hunger Games” theme.